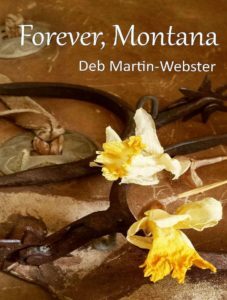 This week’s guest was Deb Martin-Webster, and we had a blast talking about her romance-western novels Love, Montana, Always, Montana and the newly released Forever, Montana which continues the story of the Montana clan. Also, take note of Deb’s psychic website Double Take Readings too, and you can go there to schedule a reading and check out her wonderful photography on Fine Art America. This is a fun interview so please listen in! Click on the bar below or Deb’s name below it depending on which works best for your device! We will also be announcing a contest for Forever, Montana next week! Some detail are in the interview.